"It may not be aimed at young girls, but young girls are going to like it." camera (Courtesy Sonni Abatta) Sonni Abatta, a mother of three, writer and podcast host, blogged about a pink, glittery lunchbox which read, "Cheat Day" on Feb. 10, 2019. The picture sparked an online debate among parents on Facebook. A Florida mom's Facebook post is igniting conversation among parents after she shared a photo of a lunchbox that was seemingly targeted for young girls. 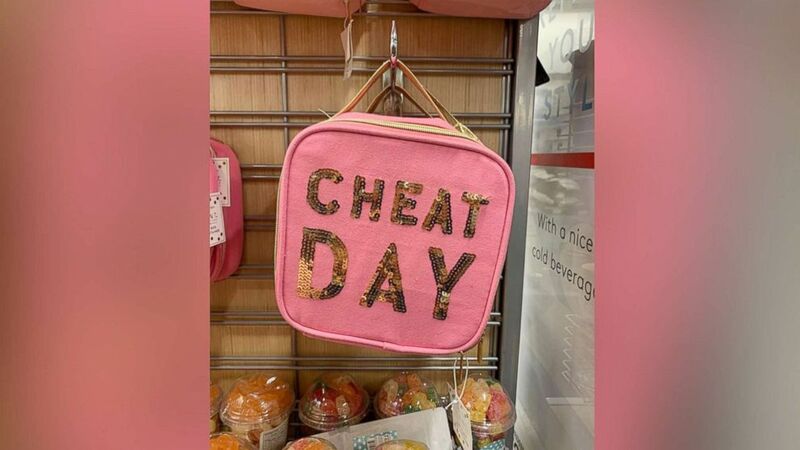 Sonni Abatta, a writer and podcast host, blogged about the pink, glittery lunchbox which read, "Cheat Day." "Why do I say it's marketed toward little girls? It's pink, it has sequins and it was surrounded by other girls' merchandise," Abatta wrote. "We wonder, 'Why do our girls worry so much about their bodies so young?' ... 'Why does my five year old call herself fat?' ... 'Why does my middle schooler stand in front of the mirror and find all her flaws?' THIS. This is part of the reason why," she added. Abatta said she was with her family on the checkout line at Nordstrom Rack where the lunchbox was on display near the cash register. "It was in between gummy bears and snacks, next to some other pink lunchboxes," Abatta, a mother of three, told "Good Morning America." "I literally said out loud, 'That's kind of disgusting.' My sister was like, 'Oh my gosh, stop overreacting.'" Abatta explained in her Facebook post that to her, the lunchbox communicated a not-so-body-positive message where a girl may feel a "sense of remorse" if "she dares to step outside of the foods that will keep her perfectly slim and trim." Abatta said her 4-year-old daughter was drawn to the appearance of the bag, which is one of the reasons why she photographed it and later posted it on her Facebook page where she has over 43,000 followers. Abatta's post garnered over 100 comments from parents chiming in on her concerns regarding the item. "And....WHY would this message be ok for women?!?!" one woman commented. "Here’s a tiny lunchbox for your 'sins' #knowbetterdobetter"
"How awful," another said. "Things like that jump out at me, and it just makes me wonder how anyone in that company could think it’s a good idea?!" Marie Kondo travels across the U.S. teaching Americans how to organize. One commenter chimed in, "The same collection has a lunchbox that says “where’s the vodka” in sequins, “mama bear” mugs, etc. Definitely marketed towards adults. I’m guessing they just put all the lunchboxes in the same area without thinking." 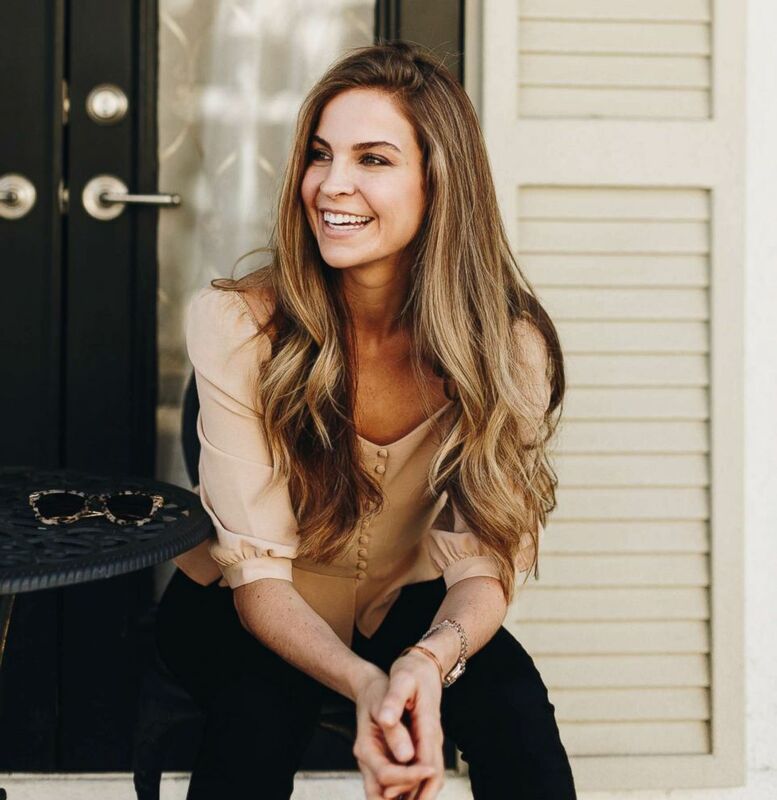 (Sydney Marie Photography) Sonni Abatta, a writer and podcast host, blogged about a pink, glittery lunchbox which read, "Cheat Day" on Feb. 10, 2019. "GMA" reached out to Slant Collections, the company that designs the lunchbox, but did not receive a response. "GMA" also reached out to Nordstrom, who sells the lunchbox on Nordstrom Rack's website, but did not receive a response. The "Pink Cheat Day Lunch Set" is available for purchase on Nordstromrack.com where it's details say, "Lunchtime just got ultra chic with this adorable lunch set!" The lunchbox is not a product that's listed under the kids' section on Nordstromrack.com. Slant Collections also sells lunch bags that read "Where's the vodka?" "Just chill" and "Stay sweet" at Nordstrom Rack. Abatta said she realizes the "Cheat Day" lunchbox was most likely marketed to be tongue-in-cheek. "I fully recognize that it may not be aimed at young girls, but young girls are going to like it," she said. "Even if happened to be a woman who picked it up, I don't necessarily think it's the healthiest message for anyone of any age. "I certainly don't think the intent was malicious...it just seems like one more thing that we have to explain to our girls," Abatta added. "In this era where we're more aware of our treatment of women and girls, it surprises me that someone wouldn't think that this would have the potential to be offensive." She continued, "I stand by that the message is not the greatest." Abatta hopes others saw her post as an opportunity to communicate a healthy body image to young girls.